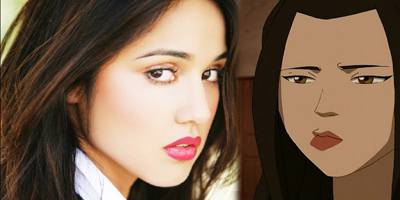 Summer Bishil (she plays Azula in the movie) compared to Azula. . Wallpaper and background images in the 아바타 더 라스트 에어벤더 club. I hope she acts well thoug, hard to tell with only a few seconds of screen time. She's an award nominated actress and has been touted as one of the best young natural actress to come to Hollywood in years.